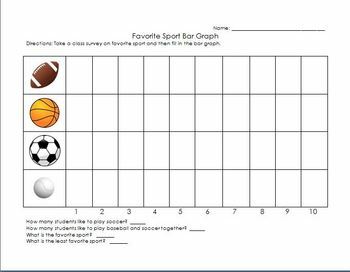 Your students can practice bar graphs using this activity. Just survey classmates on their favorite sport and then fill in the graph. Remind the students to use different colors for each sport and then compare by answering questions. This is a nice companion to my Bar Graph Powerpoint.